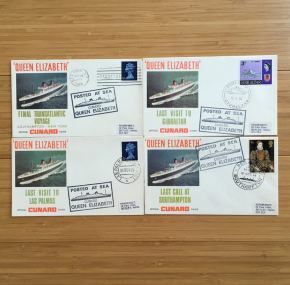 Last call and last sailings philatelic postal cover set from the wonderful Queen Elizabeth. A full set including her last call at Southampton, last visit to Las Palmas, her final transatlantic voyage, and her last visit to Gibraltar. The latter includes a nice cancellation stamp with “Paquebot” showing the Queen Mary. The postage stamp is of the ss Canberra. In very nice condition and includes their original waxed paper wrappers and cardboard cover. 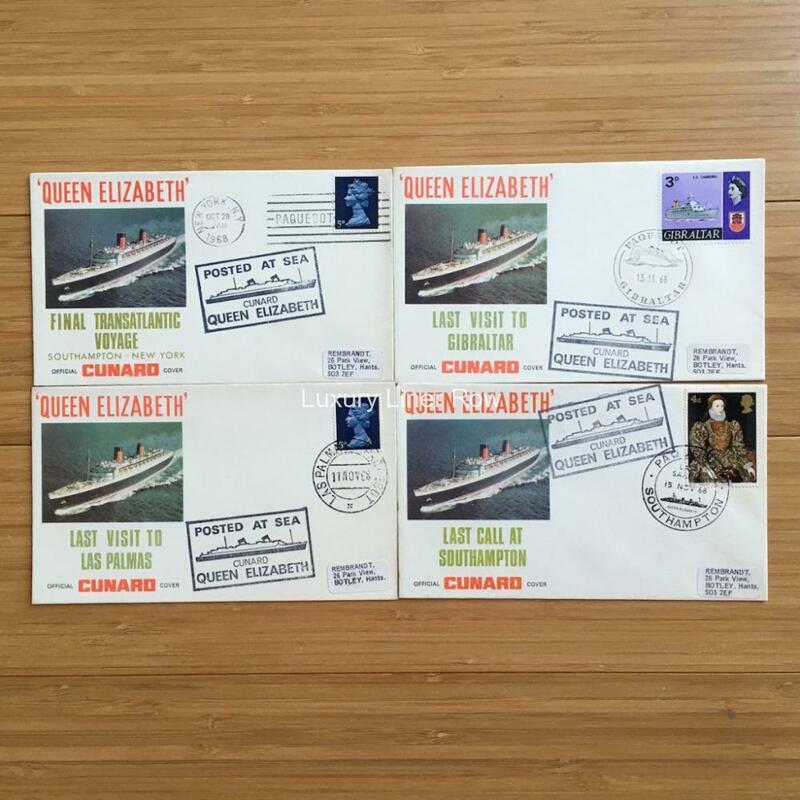 Comes to us from the collection of Ron T. Johnson, Cunard’s New York manager.